Yardage - Whole Yards Only Note ! If you need more than the 94 Yards we currently have in stock, please make a different selection as additional yardage is not available. In stock yardage is typically shipped within 2 business days. Stewart Oatmeal is a woven, textured, contract grade, stripe design with the solid Ecru stripe measuring approximately five eighths of an inch in width. 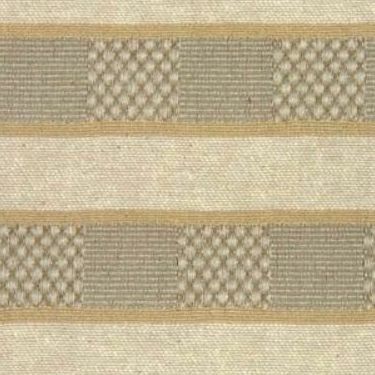 The colors of Ecru, Dark Khaki and Taupe make a crisp, clean pattern that will work in many settings. With great durability, this fabric can work well in high traffic situations. Stewart is suitable for drapery, curtains, cornice boards, pillows, cushions, table toppers, bedding, headboards and furniture upholstery.